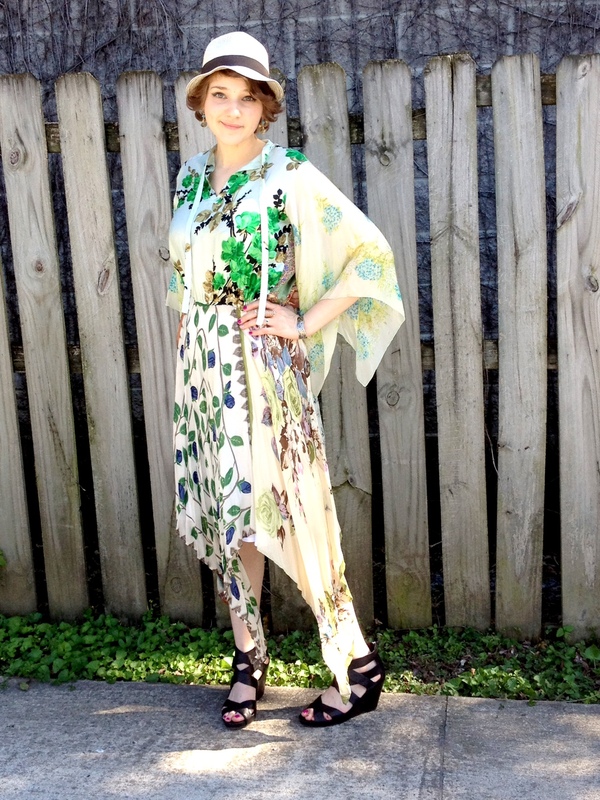 Doesn’t Anna look fabulous in this AMAZING silk dress we just got in? Look closer, it’s made entirely from silk scarves! 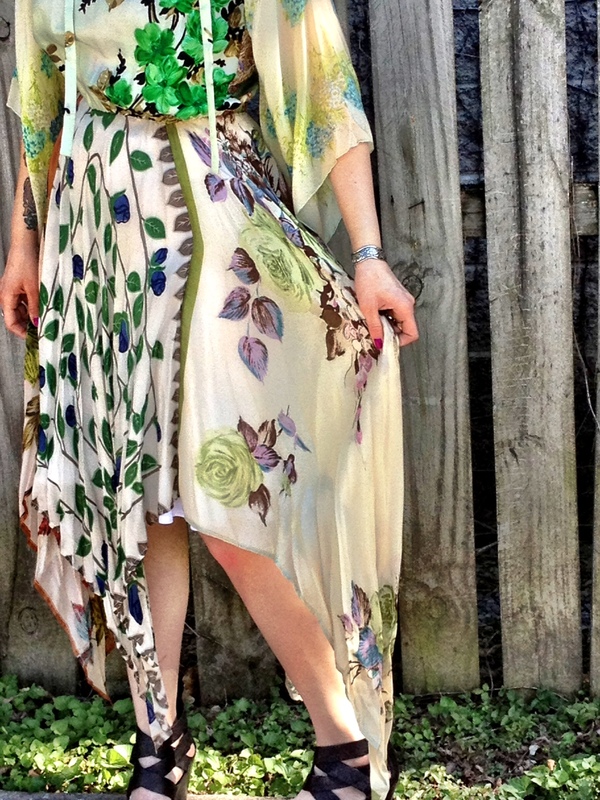 We love the way the prints are mixed and matched to make one fantastic summer dress. Anna styled it with her own fedora hat and a pair of leather wedges. It’s still here in the shop as we write this post, but we can tell you right now that it will not last long! Memorial Day weekend is fast approaching, and all the girls at the shop have been talking about what they will be wearing to the BBQ’s and parties! 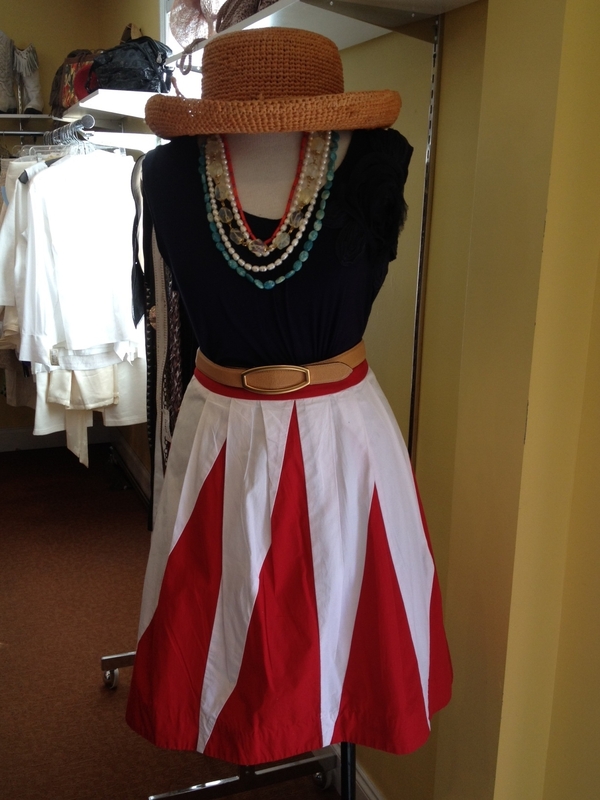 Check out the outfits we each put together below to get some ideas for your own patriotic ensembles! Kallie is a fan of high-waisted skirts, so she chose this great red and white panel skirt by Floreat, and paired it with an easy to wear blue tee, and a brown leather belt. 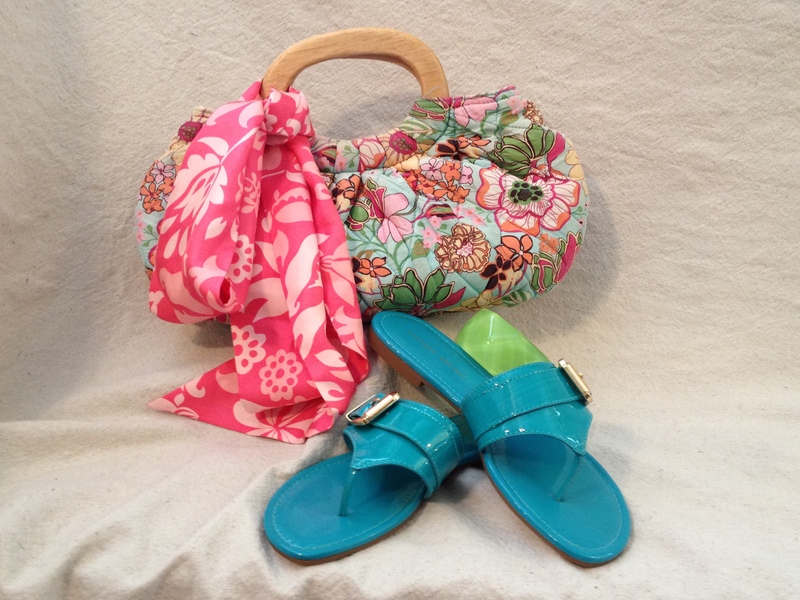 The only thing missing is a great pair of wedges, and she’s ready for an afternoon in the sun! 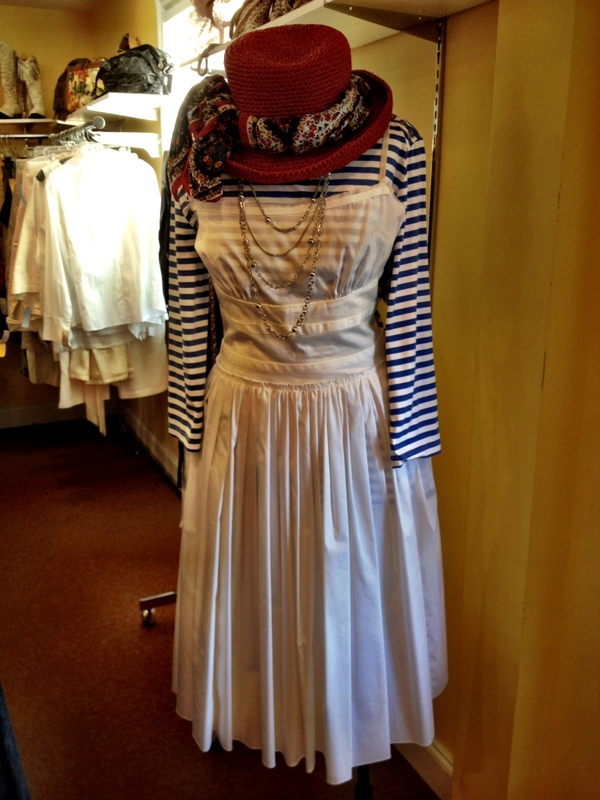 Anna was inspired by the sea with this ensemble. 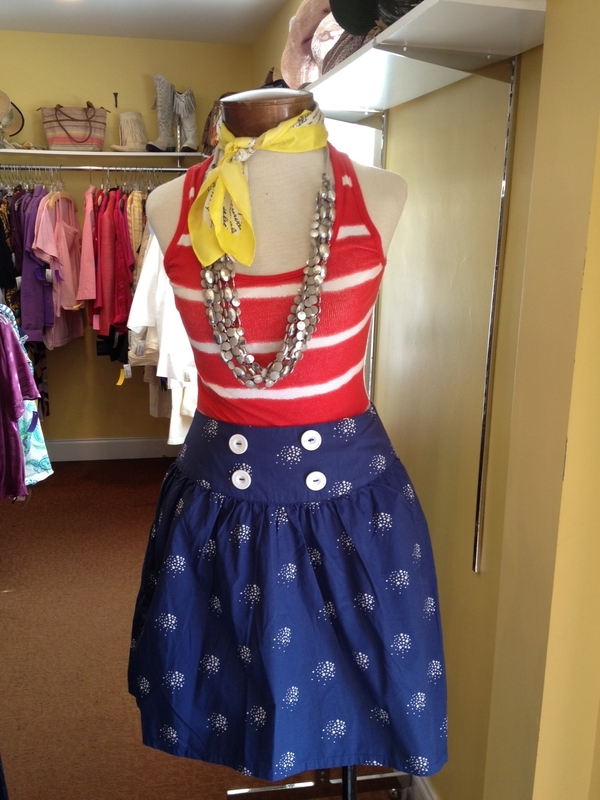 Couldn’t you see yourself by the water in this comfy striped tank and skirt combo? Ahoy Sailors! Brooke was channeling a southern cowgirl with this ensemble! Pair an eyelet skirt and cowboy hat with a simple striped tee and funky necklace for an outfit that is not overdone, but still fun! See you at the BBQ! Feeling like making a grand entrance to that friend’s annual Memorial Day bash? 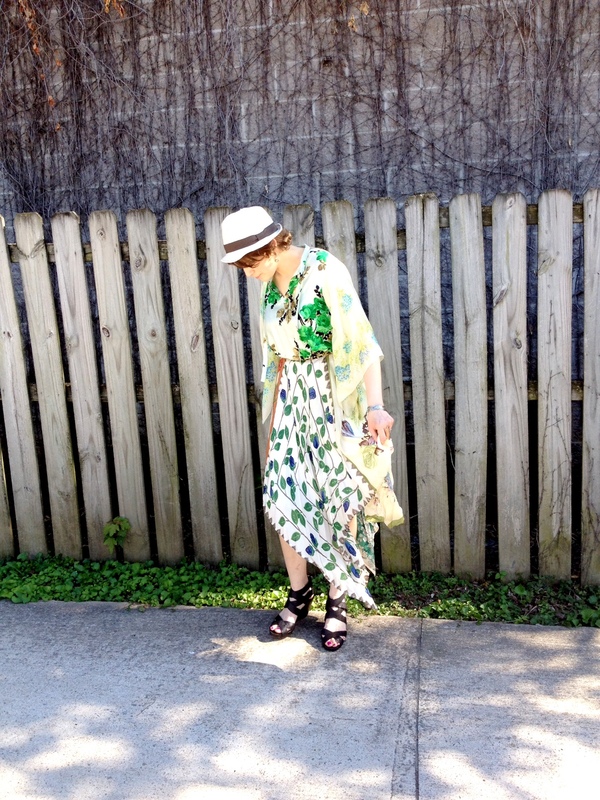 You’ll turn heads in this amazing Prada sundress that Betsy picked out. 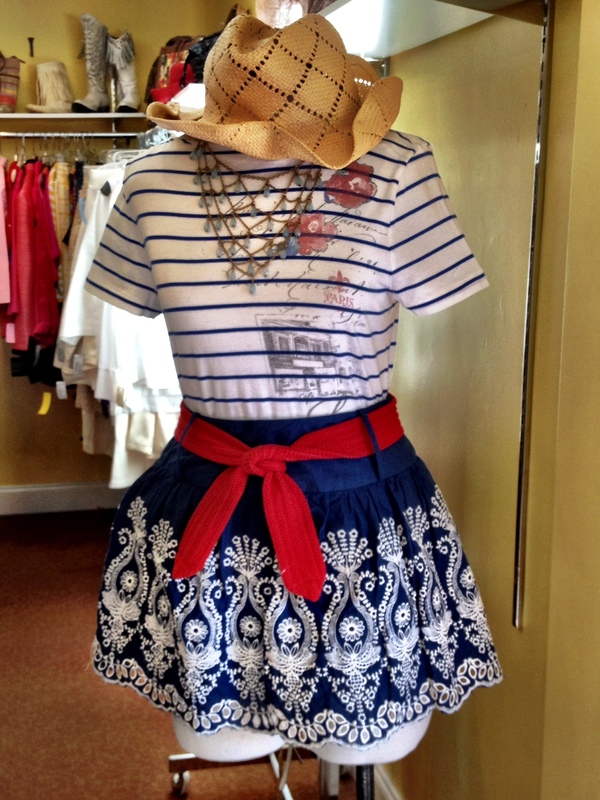 Kick it up a notch by layering a nautical striped top underneath, and finish the outfit with a fun red sun hat! We’ve got these outfits and more that are perfect for whatever your holiday plans are this weekend, so stop by and see us today! 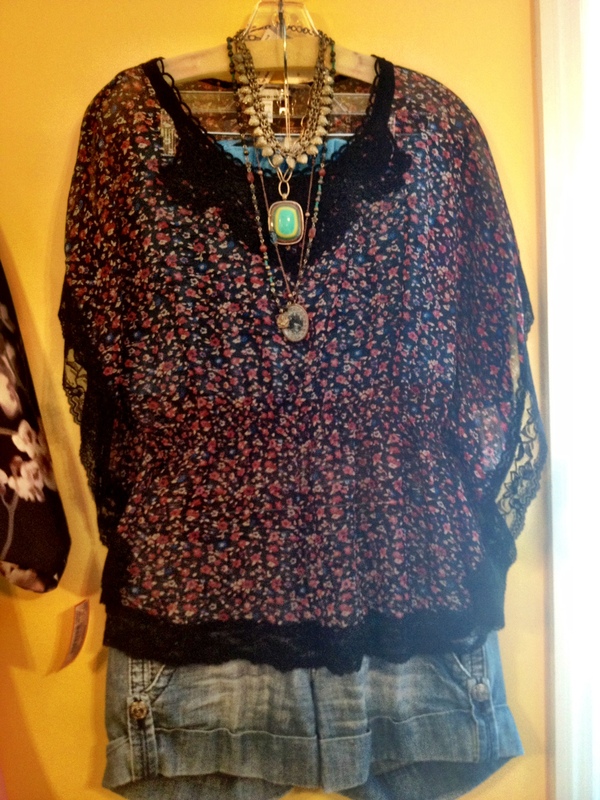 All of us girls at the shop are in love with this outfit! Adorable little bloomer shorts paired with a flowy top and a sun hat make the perfect ensemble for a day in the park or a walk on the beach! Looking for a new summer date night outfit? How about this great Ikat print dress with a leather belt and lightweight neon scarf (for those chilly air conditioned restaurants!). Headed to the mall on a hot Tennessee summer day? Stay cool in some great denim shorts and a flowy top. 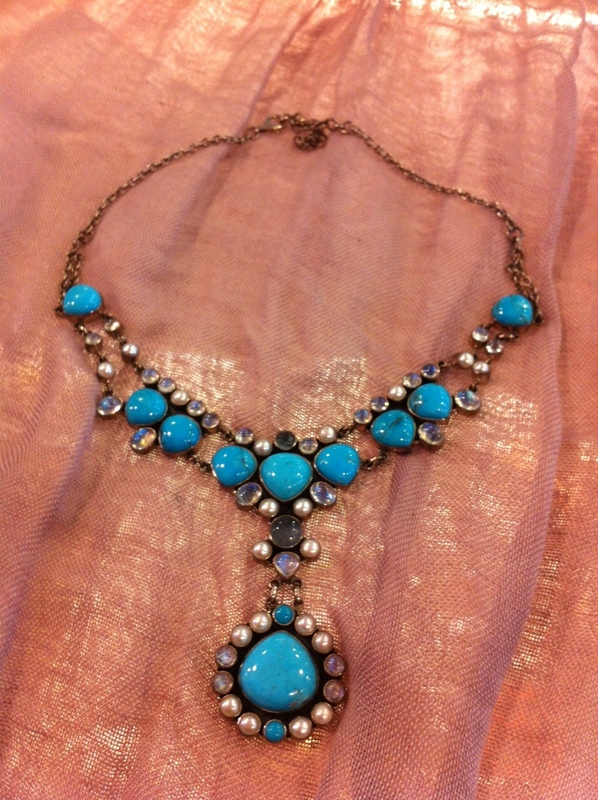 Complete the look with layered necklaces and you’ll be ready to hit the sales! 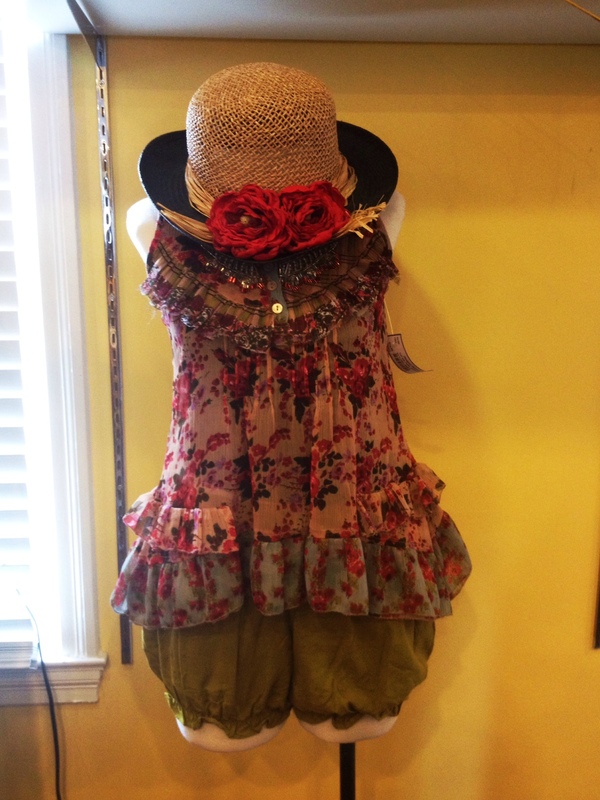 This little ensemble is perfect for brunch with the girls! Fun layering of a pastel palette is perfectly accented by a leopard print belt and a funky necklace! 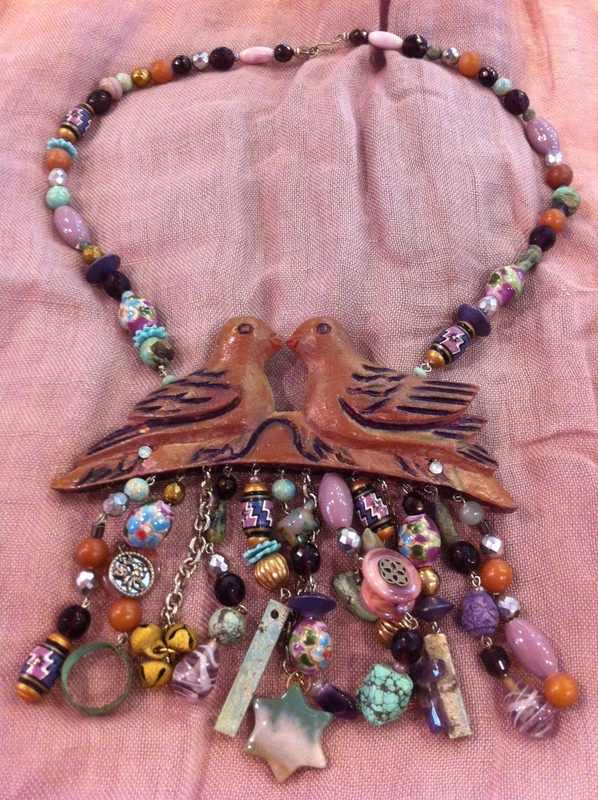 Come in and see us, these pieces will not last long! One Great Dress, Two Outfits! 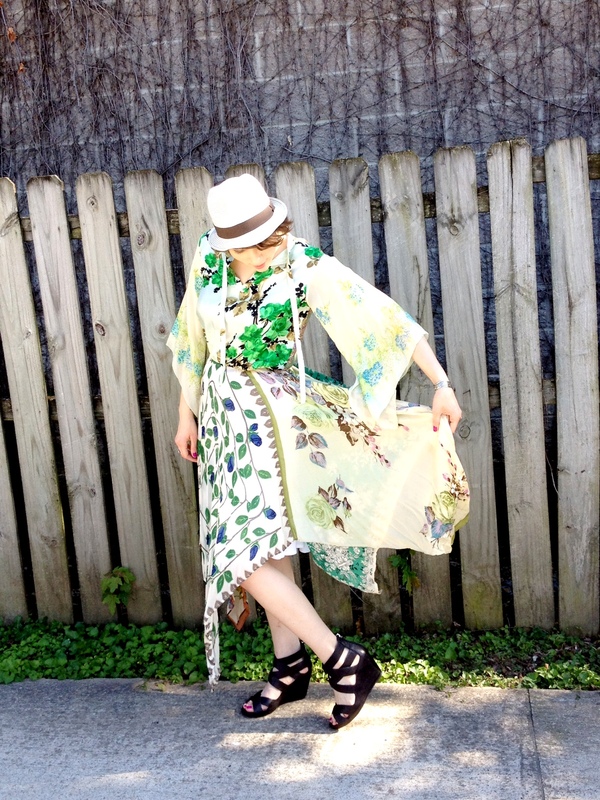 This great Rena Lange dress and coordinating coat make the perfect ensemble for Mom or Grand-Mom for anything from renewing vows, a mother of the bride outfit, or any important summer social event! 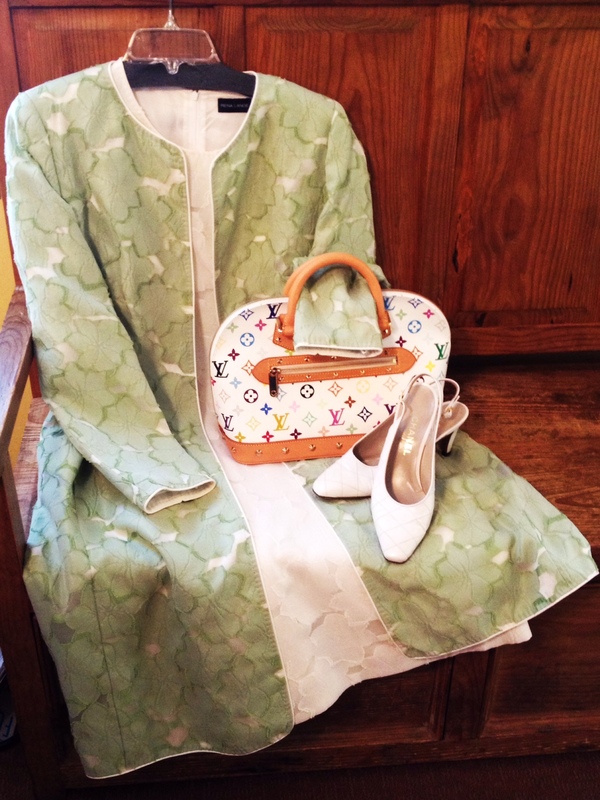 The two pieces work wonderfully with a great statement bag and shoes, too. The same dress can go from fancy to casual with a great open cardigan, belt, and wedge sandals! It’s perfect for dinner and a movie on a Friday night, don’t you think? 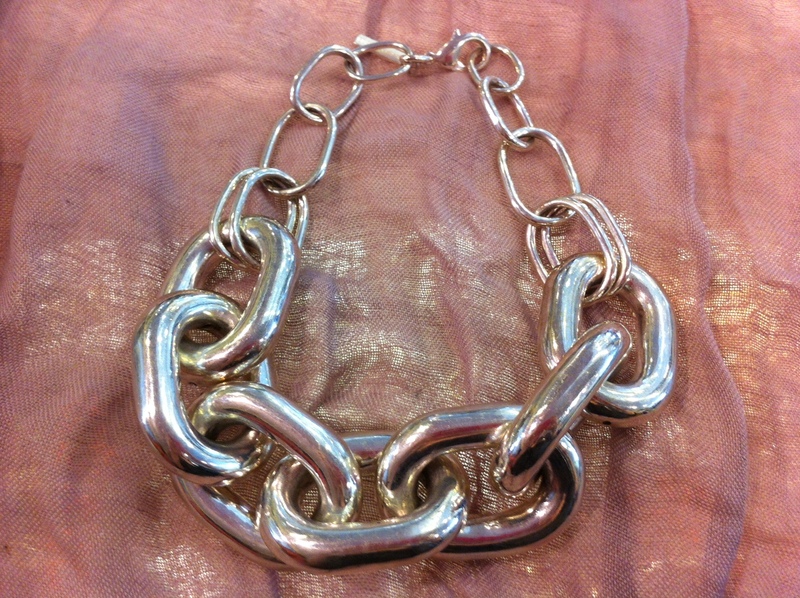 Stop by before these statement pieces are snapped up! Mother’s Day is quickly approaching (It’s Sunday May 13th, for those of you who haven’t updated your calendars), have you found the perfect gift for Mom yet? If not, we have some fun and stylish ideas for you! Does she have a beach vacation coming up? 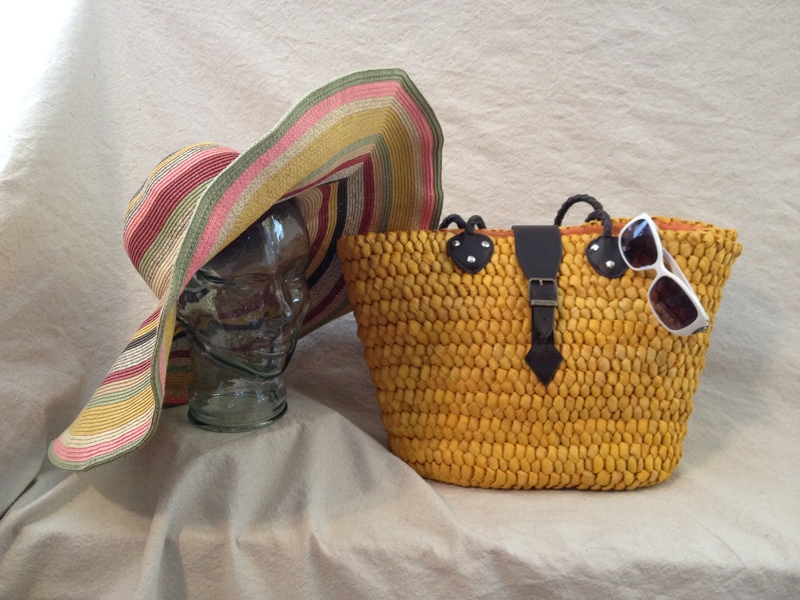 This great yellow straw tote is perfect to carry all of her summer essentials (ie Margarita ingredients…) and is only $36! Paired with a multi-colored woven sun hat ($24) and some amazing white Gucci sunglasses ($160), she’ll be all set for the surf and sand. Has your mother been carrying the same old handbag for years? Update her look with a great summery clutch by Maurizio Taiuti ($100). 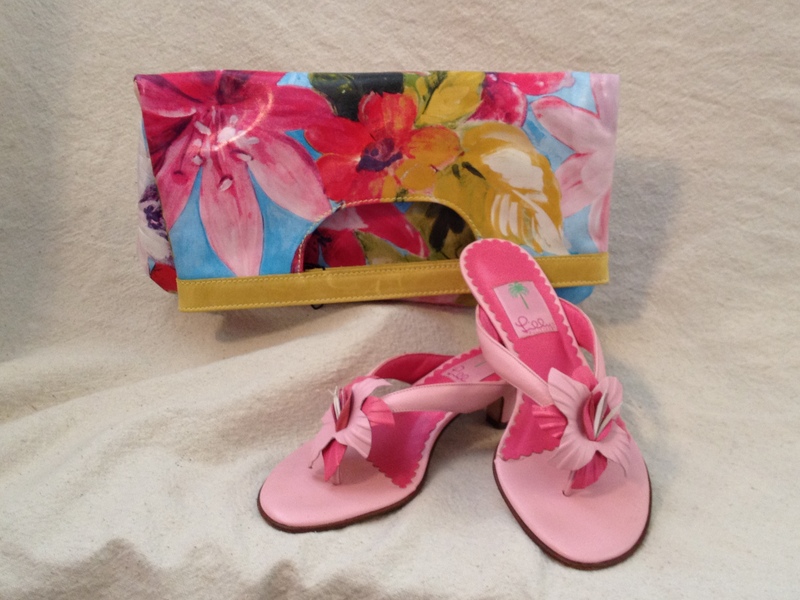 It’s perfect paired with this pair of pink leather Lilly Pulitzer kitten heeled sandals (size 7.5 $60). Does your mother have her summer toes done yet? Some bright pink polish would just pop against these turquoise Antonio Melani thongs (size 9 $16). Put them with a lovely floral Vera Bradley bag ($24) and pink Hawaiian print scarf ($6), and she’ll be footloose and fancy free! 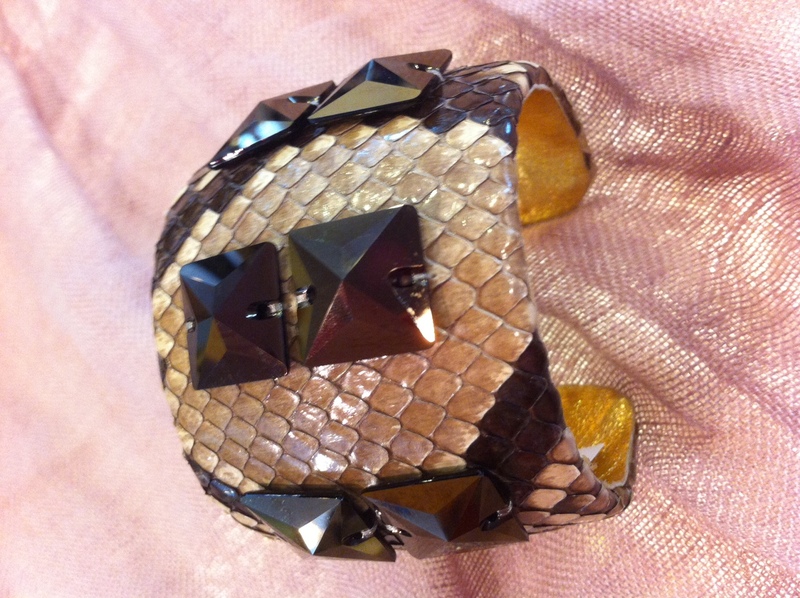 Stop in today before these fabulous items are gone! Make a statement with these beautiful summer treasures. 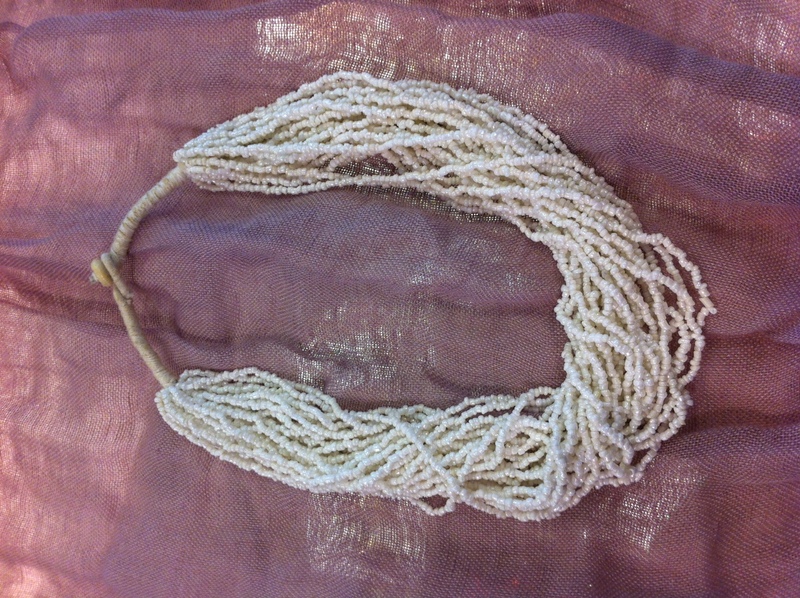 Pair them with a cute flowy dress, or wear them with shorts and stylish sandals. The options are limitless! 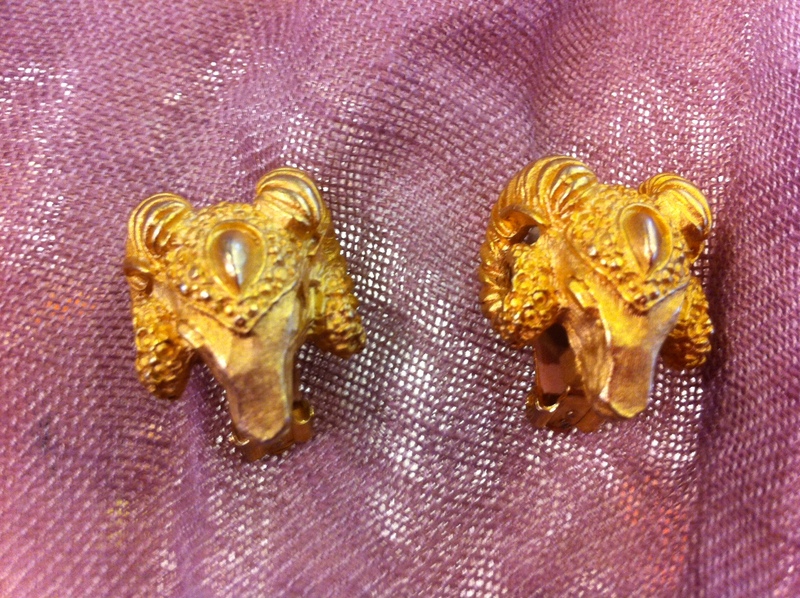 For the Zodiac lover in your life! Hint: It’s 25% Off right now, come in and take it home!